Michael Mann: The Hockey Stick and the Climate Wars – TAM 2013. Have a look at this video for an excellent description of the history and science of climate change. It’s presented by one of the central figures. Michael Mann has become a great popular science communicator – especially on climate science and the political attacks on science. He was effectively forced into this public role by the political attacks on him He tells his story very well in his book The Hockey Stick and the Climate Wars: Dispatches from the Front Lines . It’s a great read – highly recommended. Read “Good faith” science – and its enemies for my review of Michael Mann’s book. Anyone interested in the political struggles around the science of climate change will be aware of the attacks made on climate scientist Michael Mann. These go back a long time and are detailed in his book The Hockey Stick and the Climate Wars: Dispatches from the Front Lines (see The truth about the hockey stick for my review of this book). Despite a number of enquiries clearing Mann of any wrong-doing these attacks have continued. The defamation case will now go ahead with the next hearing at the end of August. It’s heartening to see this progress being made as many commentators were cynical about Mann’s chance of success. via DC Court affirms Michael Mann’s right to proceed in defamation lawsuit against National Review and CEI . Here’s a relatively short talk by Michael Mann talking about his own experiences in communicating climate science, and the political attempts to intimidate him. He is an interesting speaker and his story is important. via AGU Chapman Conference — Climate Science: Michael Mann – YouTube. 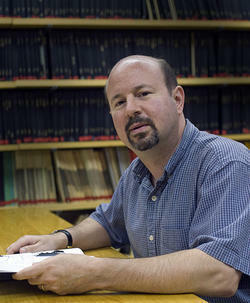 Mann is the author of the book The Hockey Stick and the Climate Wars: Dispatches from the Front Lines . It’s very informative and easy to read. Essential reading for anyone interested in the science and politics of climate change. See “Good faith” science – and its enemies for my review of Mann’s book. Ian Wishart is on his climate change conspiracy high horse again (see New global warming scandal hits climate science). His fevered imagination has managed to produce a “scandal” out of the publication of a scientific paper. Of course the scandal is based entirely on his climate change denial echo chamber. His denier mates have ripped into this paper. They are obviously very upset by it – more so than normal. It’s worth asking why? I think the simplest answer lies with the word “Hockey Stick!” This phrase, together with reference to Dr Michael Mann, usually gets them foaming at the mouth. And it’s amazing what rubbish they can spout once so provoked. This time they are reacting to a new “Hockey Stick” presented in a recent Science paper by Shaun A. Marcott, Jeremy D. Shakun, Peter U. Clark and Alan C. Mix. (see “A Reconstruction of Regional and Global Temperature for the Past 11,300 Years.”) The earlier research had extended back roughly 1,500 years, and suggested that the rapid temperature spike of the past century, believed to be a consequence of human activity, exceeded any warming episode during those years. This new work confirms that result while suggesting the modern warming is unique over a longer period. 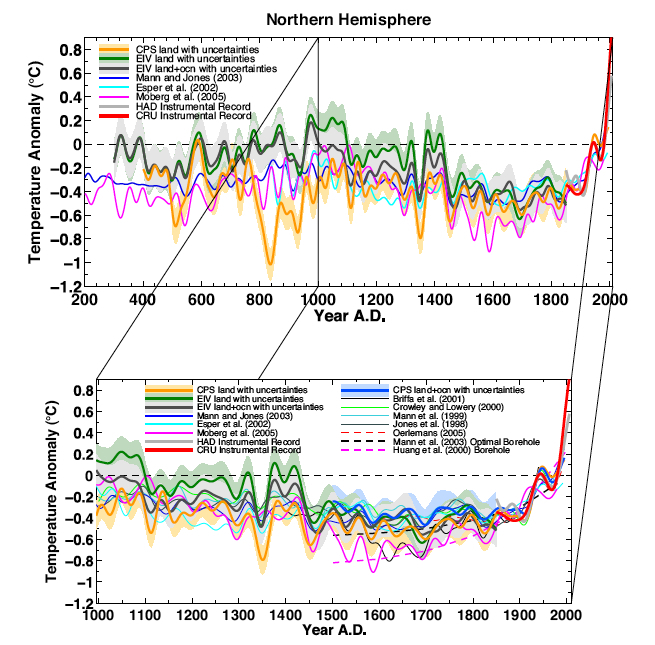 The temperature reconstruction of Marcott 2013 (past 11,000 years) and a collection of reconstructions (past 1800 years) as presented by Mann 2008. (Credit: The two epochs of Marcott and the Wheelchair). Bloody hell – is that all it takes to produce a scandal? For a scientist to point out limitations in part of their data (an area already extensively covered by other work)? What does Ian think – that every piece of scientific work must repeat in depth all the previous work? That no existing information can be used? For example, Wishart’s reference to “the discredited “hockey stick” graph” is a lie he promotes in his book “Con Air” (see Alarmist con for my review) and is repeated ad nauseum in the climate denial echo chamber. But it is just not true. Far from being discredited this work has been validated again and again. It’s the critics of this work who have been discredited. Been caught lying. I summarised this several years ago in my article Climate change deniers’ tawdry manipulation of “hockey sticks”. Have a look at that if you want details. The climate change denial movement worked extremely hard to discredit the work of Michael Mann which produced the original “Hockey Stick.” Mann has described this campaign in his book The Hockey Stick and the Climate Wars: Dispatches from the Front Lines (see The truth about the hockey stick for my review of the book). Their campaign failed. This work has been discredited in one place only – the biased mind of the committed climate change denier like Ian Wishart. I am spending some time dealing with family business so am reposting some of my past book reviews over the next few day. I reviewed this book recently, but its worth repeating because it’s so relevant to today’s issues. Most readers have watched nature programmes hosted by David Attenborough. So you are familiar with scenes where predators will work together to target a single animal in a herd. If they can isolate it they will usually make a kill. If not they will go hungry. You have seen it with Arctic wolves attacking oxen and African lions attacking zebras. Over recent years we have also seen it with politicians attacking climate scientists. In a sense Mann was a inadvertent victim of the climate denier campaign. His work had more to do with natural climate variation than human caused effects. As he puts it: “I felt that natural climate variability might be more important than some scientists thought. Indeed, it was that very assumption that motivated my Ph.D. research topic.” But in the process of researching the history of past climate changes, earth’s paleoclimate, he produced an “icon” of the climate change wars – the “Hockey Stick.” This research was included in the 2001 IPCC Report – and the “Hockey Stick” image, a record of the global and hemispheric temperature record over the last 600 years (in its original form), made it into the Summary for policy makers. Mann’s record was based on proxy measurements (estimations of temperature from tree rings, ice cores, etc. ), as well as, for more recent times, instrumental measurements. It did show changes attributable to natural events – which you would think would make the deniers happy. But it also showed very graphically, the global warming that has occurred over the last half century. This appeared to be quite anomalous over the last 1000 years. In fact, it was most likely to be greater than that which had occurred during the so-called “Medieval Warm Period.” The deniers could not forgive Mann for that finding – they had worked hard to convey the impression that global temperatures were actually higher then than they are today. (To some extent deniers have relied on regional temperature estimates – Mann’s estimate are for hemispherical and global temperatures). 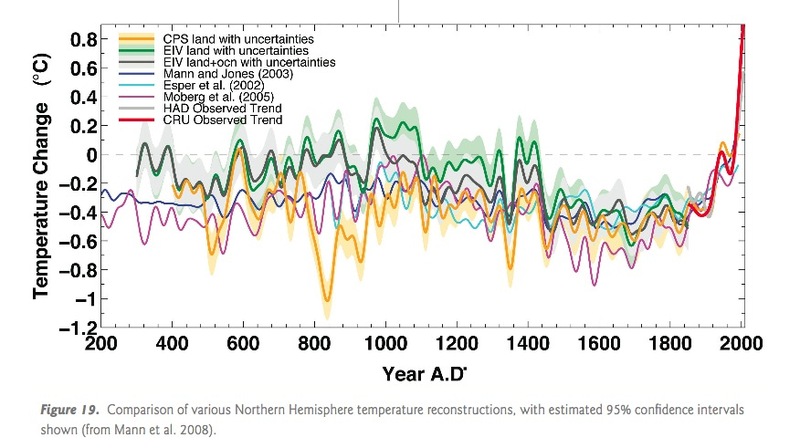 The iconic “Hockey Stick” threatened the climate denier’s icon – The Medieval Warm Period! The book describes controversy around The Hockey Stick – some of it based on genuine science, some derived from contrarian and denier attacks often financed by the fossil fuel industry. One attack, much quoted by climate change deniers and contrarians, is that of right-wing economist Ross McKittrick and Stephen McIntyre (a self described “semi-retired minerals consultant” with close ties to the energy industry). Published in a then controversial journal Energy and Environment it claimed Mann had made fundamental mistakes in his statistical procedures. Their own analysis could not reproduce the “blade” of the hockey stick – that is no recent warming could be found in the data. As Mann explained, this was a result of their own faulty analysis and their mistake was pointed out in subsequent published and refereed replies. Inevitably Mann’s description of the statistical analysis is technical and may be beyond some readers. But he has worked hard to make his description understandable and it is worth persisting because so much undeserved credit has been placed on McKintrick and MacIntyre’s paper. The scientific rejection of their work has of course not stopped the deniers who till this day claim that the M&M paper had discredited The Hockey Stick. This work was used to denounce Mann’s work in the US House of Representatives. Republic Joe Barton, then head of the House Energy and Commerce Committee, launched a specific investigation of Mann’s work. (Joe Barton became well known five years later for his infamous apology to British petroleum over the fact that the Obama administration was holding it accountable for the oils spill the the Gulf of Mexico). Mann describes the political manoeuvring that went on around this House investigation. Particularly useful is his description of the Wegman report, set up by Barton to vindicate the work of McKintrick and McIntyre. It is constantly quoted by climate change contrarians – despite the fact that this report, and other work by Wegman and his students, has been criticised for plagiarism. However Barton got a lot of political flack for his anti-science manoeuvring and Sherwood Boehlert, Republican chair of the Science Committee, commissioned the US National Academy of science to review the science behind the Hockey Stick. Their authoritative report Surface Temperature Reconstructions for the Last 2,000 Years largely vindicated Mann. Of course, have a read of climate denial books like Ian Wishart’s Air Con and you will find no mention of National Academy Report – only the Wegman’s report is used to perpetuate the lie that Man’s work was found faulty (see my review of Wishart’s book – Alarmist con). 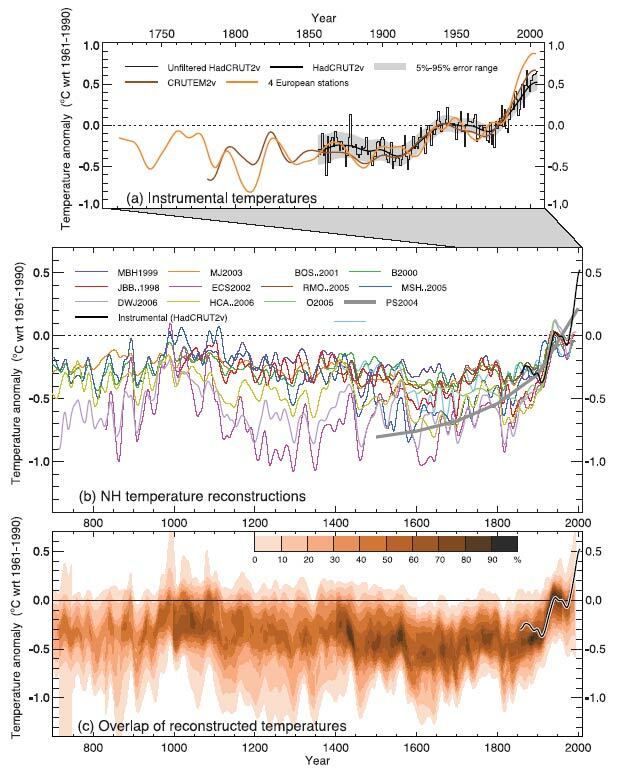 And, as Mann points out his work has been validated by over a dozen other independent reconstructions of the paleoclimate temperature record. I have previously discussed the way climate change deniers have lied about the Hockey Stick in Climate change deniers’ tawdry manipulation of “hockey sticks”. Several times in this book Mann outlines the scientific approach to understanding reality. He uses the term “good faith science” – I think it is rather descriptive in this situation. Scientists welcome good faith criticism – doubt and scepticism are central to the scientific process. But the “scepticism” and attacks on climate science by vested interests and contrarians is quite different. It is not a “good faith” criticism. It is motivated, distorted, cherry picked and very often dishonest criticism. The so-called “climategate scandal” typifies this approach. Stolen emails between climate scientists were cherry picked in an attempt to discredit the science. The climate denier frenzy, and the investigations which cleared the scientists involved of any wrong-doing are now history. But scientists in general were rather taken aback by all this. They started to pay attention to these and other anti-science campaigns and debated the need to be proactive in communicating their science and combating the distortions and attacks. I think the recent legal attempts by Virginia Attorney General, Kenneth Cuccinelli, to get correspondence and emails relating to Mann and his research are one of the worst acts of the climate denial movement. Because it smacks of McCarthyism. Cuccinelli was on a “fishing trip” – which required him to assert that Mann was guilty of fraud – without any evidence. Like the McCarthy persecution this sort of mud sticks and its aim was obviously to intimidate scientists. 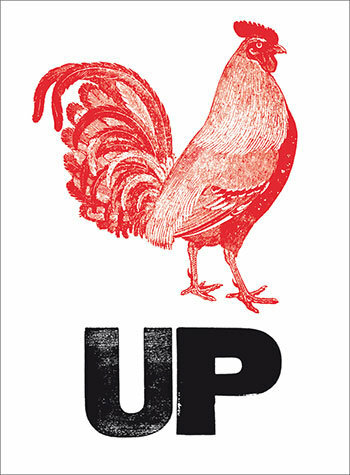 After a prolonged legal battle the Virginia Supreme Court has now ruled that Mann’s documents cannot be subpoenaed by Cuccinelli (see The chickens are hatching). But his attempted precipitated action from scientific bodies in defence of Mann and other scientists victimised by such persecution. This book concentrates on Mann’s story. His research and the resulting attacks and persecution by the climate change denial political machine. It has valuable information debunking the denier mythology created around the “Hockey Stick.” There are also interesting background details clarify things like the strange position taken by the Institute of Physics at the UK parliamentary investigation of the climategate email issue (see Institute of Physics in hot seat). But don’t expect new information on the funding of the climate denial network and links with the fossil fuel industry and politicians. Mann relies on the excellent research of others here – and references the books Doubt is Their Product by David Michaels and Merchants of Doubt, by Oreskes and Conway. Apart from the valuable background history the book provides I think its main value is the positive spin it provides, particularly in the final chapters. These discuss the reaction of climate scientists, and scientists in general, to the attacks on the science and the profession. The final straw appears to have come with the McCarthyist political attacks on Mann and other climate scientists. As Mann describes it – the bear has awoken. Scientists are finally recognising they cannot continue to ignore these attacks,. They are starting to fight back. The book is also a good read. For anyone interested in the subject, with a bit of background knowledge, Mann’s reiteration of the public events, together with his knowledge of what was going on behind the scenes, makes the book a real page turner. Here’s a relatively short (26 min) video of a lecture by Michael Mann. I think it gives a very concise and accurate picture of the current science of climate change and the political attacks on climate scientists (Mann calls this the scientization of politics). via The Hockey Stick and the Climate Wars – Michael Mann Speaks at SOS 2012 on Vimeo. Michael E. Mann- Director of the Earth System Science Center gives a very eye-opening presentation at the 2012 Sustainable Operations Summit. Mann’s presentation highlighted themes from his most recent book: The Hockey Stick and the Climate Wars: Dispatches from the Front Lines. 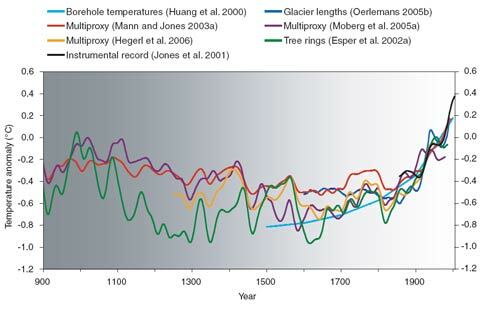 In his talk, Mann discussed the “Hockey Stick,” a graph he created with his colleagues to depict changes in Earth’s temperature dating back to 1000 AD. The graph was featured in the Summary for Policy Makers portion of the 2001 report of the Intergovernmental Panel on Climate Change (IPCC) and became an icon in the debate over human-caused climate change. Mann told the story behind the Hockey Stick, using it as a vehicle for exploring broader issues regarding the role of skepticism in science and the relationship between science and politics. Once again legal action by climate change deniers/contrarian/cranks has failed. In the US attempts by the American Tradition Institute, a climate change denial think tank, to obtain personal emails and documents from the University of Virginia. These documents belong to well known climate scientist Michael Mann and the court action was part of a fishing expedition by climate change deniers to repeat the “climategate” scandal. To obtain emails from which cherry-picked material could be used in the ongoing campaign to discredit climate scientists. See University of Virginia prevails against climate science attack groupfor further information on this case. This attempt to discredit Mann and his work is a lie – but its not a new lie. It’s one I had dealt with almost three years ago in my post Climate change deniers’ tawdry manipulation of “hockey sticks”. I am repeating that post here, with slight amendments. Hopefully this will at least lead to some climate change sceptic who may have accepted that lie getting some of the real facts. But it’s simple enough to check the IPCC reports – they are on-line for all to see. If you do check you will find this figure below in the 2007 reports. The original data from Mann (MBH 1999) is included with, of course, more recent data. Here is the reference for anyone doubting my claim – Figure 6.10, page 467, Chapter 6: Palaeoclimate,The Fourth Assessment Report (AR4), WG I The Physical Science Basis. And far from this work being “thoroughly discredited” or abandoned, it has been expanded with more, recent, data. 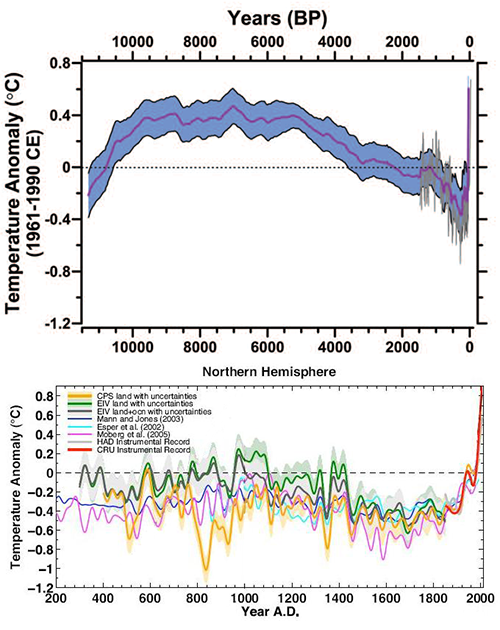 The graph below is from Mann’s 2008 paper (Proxy-based reconstructions of hemispheric and global surface temperature variations over the past two millennia). In this paper Mann was responding to suggestions made by the National Research Council in its report Surface Temperature Reconstructions for the Last 2,000 Years. This thorough and rigorous investigation formed part of US House of Representatives Committee hearings on Mann’s “hockey stick” figure arising from criticisms made by climate change sceptics. It is very authoritative. These false assertions on the “hockey stick” graph are, unfortunately, very common. It’s one bit of mudslinging that has found purchase with most deniers repeating the lie. Even some sceptics believe the story. I guess it just makes a good story so these conservative sources tack it on. But where is the integrity in that? Give them enough rope . . . The last few years the climate change denier organisations have fooled themselves into thinking they are on a roll. (I am talking about deniers – not contrarians or sceptics). What with the “climategate affair,” the resulting investigations (which didn’t go their way) and the legal attacks on prominent climate scientists like Michael Mann (These have also failed). But really what they have been doing is feeding out the rope which will eventually hang them. This is obviously the case with the US “think tank” The Heartland Institute. This rabid free market organisation had been trying hard to present themselves as purveyors of the “true” science on the climate. In particular, they have being sponsoring, together with a number of other dogmatic free market organisations, a conference they claim as “scientific.” But, they are not interested in finding facts, rather fighting facts. And that is the true purpose of their conference. The Heartland Institute feeds out the rope with this billboard advertising there conference. $825,000 gone – $1,430,000 to go! This caused such a negative reaction that they pulled it within hours. But instead of effectively “fighting the facts” of climate science they were sawing off the branch they were sitting on. Within days they faced withdrawal of speakers from the conference, departure of staff, and, more importantly, withdrawal of finance from some of their sponsors. See Guardian report Heartland Institute facing uncertain future as staff depart and cash dries up). Have a look at Forecast the Facts – a webs site charting the decline in Heartland’s financial support. As of today $US825,000 of their projected 2012 Corporate support of US$2,225,00 has been pulled. Presenting the facts and not fighting them. And the climate reality project has responded with a public donor financed billboard giving some of the facts. This will be displayed throughout their conference. (You can make donations at Climate Reality | Donate). All this has forced The Heartland Institute to fall back on other sponsors, both for their conference and for their own finances. Sponsors more directly and publicly connected to the fossil fuel industry (see Heartland Institute Hemorrhages Donors And Cash For Extremist Agenda, As Coal And Oil Step In). “a coal lobby group has stepped in as one of its ‘gold’ sponsors. The Illinois coal chief praises Heartland for its work and ‘so we thought we would finally make a contribution to the organisation.’ He added, ‘In general, the message of the Heartland Institute is something the Illinois Coal Association supports. Mind you, have a look at their co-sponsors for this conference. A whole host of political, extreme right-wing, organisations. You will recognise some of the names. The George C. Marshall Institute (who denied tobacco was harmful), Institute for Private Enterprise, Australian Taxpayers Alliance (“fighting tax, regulation and waste”), Heritage Foundation, Ayn Rand Institute, Competitive Enterprise Institute, and so on. Oh, by the way – the only New Zealand sponsor I could see was the New Zealand Climate Science Coalition. 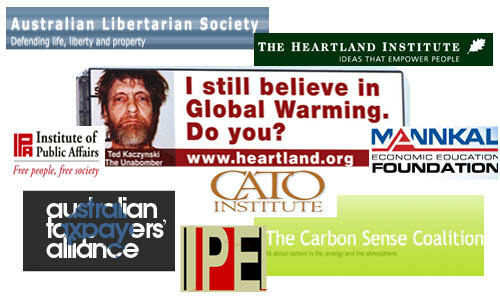 *Even the climate change denial internet echo chamber was largely critical of the Heartland billboard. (Although local denier blog Climate Conversations couldn’t quite make up its mind. Richard Treadgold, poor guy, thought it was “a stupid, brave, heart-warming experiment.” Couldn’t quite bring himself to be critical, although most of his commenters were – see … is sauce for the gander). And the Heartland Institute is such a sensitive topic at Watts Up With That you need a special password to join in any discussion of the conference – see Protected: At the conference. The US “Think Tank,” The Heartland Institute has been getting some mail since some of its documents revealing plans to undermine climate change science and its teaching were leaked to the media. These documents also details some of the payments being made to climate change denial authors and blogs. Of course they have cried foul – even claimed one of the leaked documents is not authentic. Then again, denial is hardly new for them – they have been doing it since their days denying the scientific facts showing dangers of tobacco smoking. Now they have received a letter from some of the climate scientists they have in the past denigrated. these scientists express their condolences, having experienced something similar a few years back, but suggest that perhaps the Institute should learn from its mistakes, change tack, and start to play a more honest and constructive role on the issue of climate change. The blogosphere has been humming over the last few days with revelations contained in document leaked from the US Heartland Institute. Documents outlining strategy for the promotion of climate denial – both through the media and through educations programmes. Have a look at Gareth Renowden’s post The real Climategate: Heartland’s hypocrisy on display for a good summary and many links to other coverage and the documents themselves. For me – there are no surprises in these leaked documents. I have just finished reading Michael Mann’s – The Hockey Stick and the Climate Wars: Dispatches from the Front Lines so was familiar with all the dirty tricks, misrepresentation, political manoeuvering and the roll of the fossil fuel industry in financing the climate denial movement. No surprises – but some of the details in the leaked documents were interesting. The fact that heartland actually has some of the well-known climate science critics on their payroll. That they are helping to fund some of the deniers blogs. and publications. And that they a consciously investing in a campaign to “teach the controversy” – that is discredit climate science – in the schools. 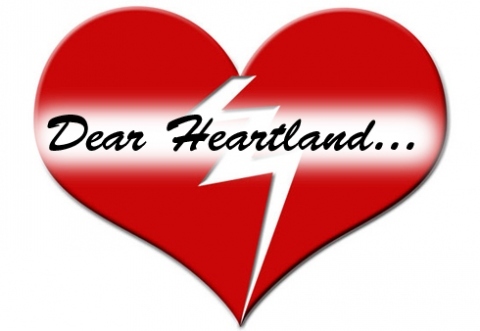 Have a look at The real Climategate: Heartland’s hypocrisy on display for the details. Clearly these revelations are only the tip of the iceberg. Much more is going on behind the scenes. And Michael Mann’s new book gives an excellent coverage of these denier campaigns. Mann is an excellent writer and anyone interest in this area, especially if they have followed some of the political aspects, will enjoy the book. It is really an actually a page turner. I will review it properly in the next few weeks.